In Rwanda, these handwoven baskets are traditionally given to commemorate significant life events such as weddings, births, and graduations- as they are truly a labor of love, taking skilled artisans up to two days each to complete- often with a baby or two on their backs! Natural fibers are carefully stripped, dyed with organic minerals, and dried before being woven into intricate patterns that are both beautiful and culturally significant, often passed down through generations of weavers. 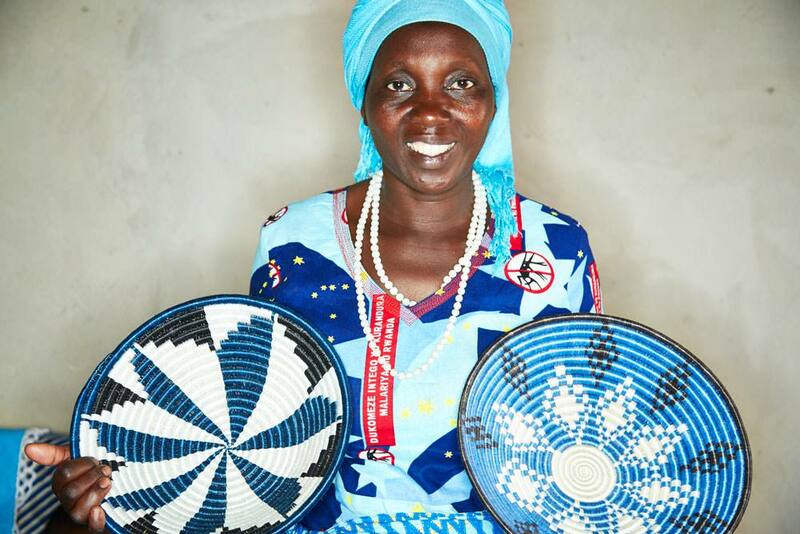 Weaving is also a primary source of income for many women in rural African areas as it utilizes locally harvested and sustainable materials, and allows them to work from home while caring for their families. The income earned from selling baskets like these enables women to become financially independent, open bank accounts, hire other workers, and invest back into their communities. It is also an enjoyable social activity, as many women will gather to weave together, while sharing news and watching the kids play, not unlike the quilting circles of our own past. Thank you for considering buying fair trade this season and supporting artists and creative entrepreneurs around the world!